The 11th annual Meeting of the Minds conference was held April 8-10th at Syracuse University. The conference focuses on undergraduate research and scholarship at the 15 ACC member schools and represents the power and synergy that can exist between athletics and academics. Undergraduate students at all 15 ACC universities are involved in numerous projects, which provide unique contributions to research and creativity across all disciplines. 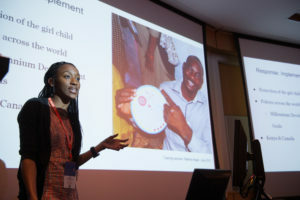 The annual ACC Meeting of the Minds Conference has become an opportunity for universities in the ACC to highlight the diversity of research being conducted by undergraduates and for students to share their work with peers across the ACC.